An interesting article by Charles Lewis was published in the National Post on Saturday concerning Bill C-384 and the legalization of euthanasia and assisted suicide in Canada. "They don't see what it means to society ... and let's be blunt in the language we use: you will have doctors killing people and the law authorizing them to do it." A lot of people fail to understand what euthanasia and assisted suicide are. To legalize euthanasia will mean to give the right to someone else, usually a physician to be directly and intentionally cause another persons death. To legalize assisted suicide will mean to give the right to someone else, usually a physician to be directly and intentionally involved with causing another persons death. These are not unintentional or accidental deaths, such as the use of analgesics to control pain that will sometimes result in a person prematurely dying, but rather these are direct and intentional deaths. "It is so important not to have the precedent of killing each other in society,"
Please read this interesting article that I have included, following my comments. "The bill adds "safeguards," such as forcing the patient to request death on two occasions. It also requires the doctor to get a second opinion from another physician with no ties to the patient. The patient must also be deemed to be lucid." The Safeguards in C-384 are an illusion at best. The issue of two requests doesn't protect a person who has been made to feel that they are a burden on others. The point about a second opinion is not a safeguard. In Oregon the assisted suicide law is operated by Compassion & Choices - the euthanasia lobby group in their state. In 2008 Compassion & Choices facilitated 53 of 60 assisted suicide deaths. Compassion & Choices refers the people to the physicians. Finally Lewis says that the person must be deemed to be lucid. The bill says that the person must "appear to be lucid". People who appear to be lucid are not necessarily lucid. Dr. Jeff Blackmer knows the thin line that exists between helping someone die in comfort and purposely ending their life through medical euthanasia. The Ottawa physician, who also runs the Canadian Medical Association's office of ethics, deals mainly with spinal cord injuries, and a number of his patients are quadriplegics who depend on a respirator to stay alive. Some of those have asked to have their ventilators removed and be allowed to die. Dr. Blackmer, though an opponent of euthanasia, will prescribe drugs that allow the patient to pass without suffering. "So what's the difference between letting someone die and giving them drugs to make it easier, and giving them drugs that will kill them?" he asked. "Some may argue it's splitting hairs, but for a physician it's a critical difference in that in the former case it's the underlying disease that is causing death-- we're letting nature run its course." "The second situation [of giving lethal drugs] is more active, and it's opposed to what doctors are supposed to stand for." Such arguments will be aired again this fall when Bill C-384, which would make euthanasia and physician-assisted suicide legal, will come up for second reading, the furthest such a bill has ever gone in Canada. It is the third time in four years that Bloc MP Francine Lalonde has sponsored such a bill. Ms. Lalonde, who has battled cancer for the past two years, said she was only diagnosed after she introduced the bill in 2005. She said before her diagnosis, pain was a theoretical issue. But after what she experienced while she was ill, "pain was no longer theoretical" and so seeing a bill like this passed meant even more. She is not overly optimistic that will happen. It is a question, she said, of whether parliamentarians have "the guts or courage" to reflect what appears to be the popular will. Ms. Lalonde believes that such a law would be "reasonable," not a slippery slope to irresponsible killing of the weak and defenceless, and would be a mark of a compassionate society that is willing to help end irreversible pain and suffering. "Someone's religious or moral beliefs should not become my law," Ms. Lalonde said. Under C-384, two categories of people would be allowed medical assistance in hastening their own deaths: those with a terminal illness and those who, "after trying or expressly refusing the appropriate treatments available, [continue] to experience severe physical or mental pain without any prospect of relief ..."
The bill adds "safeguards," such as forcing the patient to request death on two occasions. It also requires the doctor to get a second opinion from another physician with no ties to the patient. The patient must also be deemed to be lucid. Opponents of such legislation are watching the bill with concern. With each attempt to legalize assisted suicide, they say, Canadians are getting more desensitized to the idea. Margaret Somerville, founding director of the McGill Centre for Medicine, Ethics and Law, said that if C-384 should pass, it would push society over a dangerous line and lead to killing of the aged, weak and vulnerable. "It is so important not to have the precedent of killing each other in society," Prof. Somerville said. An Angus Reid poll this summer found 77% of Quebec respondents believed euthanasia should be allowed. The only instance in which Quebecers showed no support is in the case of a person wishing to end their own life because of the death of a spouse. The poll was inspired by a decision of the Quebec College of Physicians and Surgeons that has asked Ottawa to amend the Criminal Code to allow for euthanasia in specific cases. The formal proposal will be out in the fall. In 2004, Environics Research Group found 68% of all Canadians approved of euthanasia. In a poll last year it found, given the choice, 44% of Canadian would choose euthanasia and 44% would opt for palliative care. Bill C-384 is far broader than the laws in Oregon and Washington, the only two jurisdictions in North America where physician-assisted suicide is legal and two of only a handful of jurisdictions in the world that allow it. Oregon has had physician-assisted suicide for the past 11 years. (Washington made it legal in November.) It allows only those who have been told they have less than six months to live to apply for the lethal medication. In 1998, 25 people were given the drug and in 2008, 88 prescriptions were given. Last year, 54 patients took the lethal medications, 22 died of their underlying disease and 12 were alive at the end of the year. It is believed that some patients take the drug home as insurance against a painful death but never use it. Euthanasia, the act of the doctor administering the drug, is forbidden in both states. Ruth von Fuchs, president of Right To Die Canada, said euthanasia is actually preferable because it allows patients to live longer. Patients might be concerned that they will reach a point when they do not have the strength or manual dexterity to take the drug themselves, she said. But Prof. Somerville said euthanasia or physician-assisted suicide can never be "simply an individual act." "The argument that supports legalizing this comes from intense individualism: 'If that's what somebody wants, who am I to stop them?'" she said. "It necessarily involves other people. And you need a complicit society to make it possible through legalizing it. So it dramatically impacts on society." "They don't see what it means to society ... and let's be blunt in the language we use: you will have doctors killing people and the law authorizing them to do it. Two of secular society's two most important institutions, which are meant to uphold the respect for life, will be changed." The Canadian Medical Association, for example, is against euthanasia and physician-assisted suicide because it believes a doctor should never take a life. "It's a central tenet of medical ethics that thou shall not kill, that you first do no harm," said Dr. Blackmer. "This debate is a clash of moralities, but against the most deeply held morality that physicians have." Pain management has advanced greatly in the past 10 years, he said, meaning it is a rare case in which pain cannot be managed. "The counter-argument is that euthanasia ends suffering, even if it's for just a few cases. The question is, 'Is that enough of a reason to end a life?' "
Dr. Nuala Kenny, director of bioethics education and research at Dalhousie University in Halifax, said it is easy to be misled by the language of Ms. Lalonde's bill. Someone with a terminal illness can often live for years, so there is a danger someone could take their life simply over the fear of the unknown. The use of the term "mental pain" is also worrying, she said. "In the Netherlands we know people who have been depressed have been allowed to take their own lives. Grief is suffering and under this legislation it would be perfectly allowed. I don't think people are paying attention to what is being proposed here: death as the answer to any human distress," said Dr. Kenny, who is also a pediatrician and a Catholic nun, but who has never worked in a Catholic institution. "You don't change the whole way in which medicine in particular interacts with those who are dying or suffering because a small number of people have this extreme understanding of their rights and freedoms." Today is a sad day for everyone who is dedicated to preventing euthanasia by dehydration. Bob Schindler senior died of a heart attack. His daughter Terri was intentionally dehydrated to death, not because she was terminally ill and nearing death, but becuase she was cognitively disabled and her husband Michael wanted her to die. She died by a slow and horrific form of euthanasia. The Schindler family and Bob need to be upheld for everything they had done to try to save the life of their daughter and sister Terri. The horrific reality of death by dehydration for those who are not otherwise dying was made known to the world by the courageous Schindler family who were led by their father Bob. I ask the question, when did it become acceptable to dehydrate someone to death simply because that person is cognitively disabled? Please read the comments by Bobby Schindler Jr and follow the link to the website for the Terri Schindler Schiavo Foundation that I have included with this blog comment to learn more about the death of a great man. I am heartbroken over the loss of my father and yet I know at this moment he is rejoicing with my sister, Terri. My dad was a man of integrity, character and compassion who was blessed with a close and loving family. He taught all three of his children to respect and value life and to love our fellow man. Even at the height of the battle to save my sister Terri’s life, when his patience and temperance was near exhaustion, he managed to display a gentleness of spirit. Yet it was his unfathomable strength that allowed him to shoulder up his own heartache and lead us through our darkest hour. What greater legacy could a man leave behind? In lieu of flowers, memorials may be made to the Terri Schindler Schiavo Foundation, 5562 Central Avenue, Suite 2, Saint Petersburg, FL 33707, phone 727-490-7603. The following article refers to the abuse of morphine in order to cause the death of people in the Czech Republic. Once again this article depicts a false compassion. A true compassion would lead to a better training in the proper use of analgesics so that physicians stop feeling that they need to abuse the use of morphine. 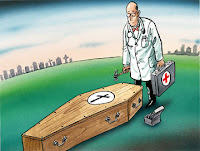 Further to that, the article presents a very sloppy system for caring for people who are supposedly in the dying phase. People should never be viewed as simply bodies needing an overdose, etc but rather as people who are in need of good and proper care. I really hope that this article is an exageration of the reality. 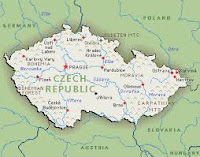 Prague - Some doctors admit that euthanasia is being applied in the Czech Republic not to prolong patients' sufferings in hopeless cases, though it is officially illegal, the daily Mlada fronta Dnes (MfD) reports today. It is called "wild euthanasia" and it means that doctors intentionally provide the treatment that leads to the patient's death with the aim to terminate his/her suffering, doctor Zdenek Kalvacha told MfD. A doctor, for instance, administers higher morphine doses to a patient dying of cancer, the daily adds. MfD writes that some other doctors, too, admit a similar practice in Czech hospitals. Being asked at a recent meeting of the Czech Doctors' Academy whether someone is convinced that euthanasia is not applied in the Czech Republic, no doctor raised his hand, MfD says. Many doctors say the rules should be specified for the cases of patients whose further medical treatment is pointless and whose death is inevitable, the daily adds. Political parties, too, are considering drafting such rules, the paper adds. The Senate, upper house of Czech parliament rejected the legalisation of euthanasia last September. Senator Vaclava Domsova (Independents' Association-European Democrats/SNS-ED) submitted a bill on "dignified death" but the upper house turned it down. Its critics, mainly doctors, warned that the bill would legalise intentional killing and could be abused. I came across this article today about a farmer and his wife who have asked the President Pratibha Patil for permission to kill their four sons (ages 10 - 16) who have muscular dystrophy. The problem with this article is that we can only imagine the struggle with caring for four sons with muscular dystrophy but we are not told about the level of care that exists or the lack of care that does not exist. This is another story of a terrible case that society in India should respond to by providing this family with the necessary care for the family to provide for their children. We must believe that this family would rather not kill their children and the answer to these cases is to provide the means for the family and not leave them destitute. The short article with link follows. New Delhi, Aug 22 (PTI) A farmer and his wife in Uttar Pradesh have sought President Pratibha Patil's permission for the mercy killing of all their four minor sons afflicted by a genetic disease that has confined them to bed. The four, aged 10 to 16 years, have been afflicted by muscular dystrophy, leaving them in a vegetative state. "My sons cannot stand on their feet nor can they move their body below the neck," said the children's father Jeet Narayan of Bashi village of Mirzapur district. "I appealed before the officials, the administration and the state government for help but no one is there to listen to our plight," Narayan told Times Now, as he was shown carrying his sons on his arms to bed. Narayan has written to the President, the Prime Minister and Uttar Pradesh Chief Minister for the mercy killing of his sons. Yesterday, I was interviewed by LifeSiteNews. The article is below. I want to make it clear that Deep Sedation itself is not a moral problem, it becomes a moral problem when it is done with the intention of causing the persons death, usually by dehydration. Deep Sedation is a very effective palliative technique for people who are suffering from intractable pain. This type of pain is less responsive to morphine. But good palliative care physicians know that you do not need to keep the person sedated until death in order to provide a great benefit for the person. Often a person can be sedated for several days and then brought out of sedation. That person has often experienced a physical relaxation that enables them to once again be awake without suffering from intractable pain. Therefore, the proper use of Deep Sedation has benefits and should not be discouraged, but deep sedation can be abused whereby a person, who is not yet otherwise dying, is sedated and then dehydrated to death. This is a form of "slow" euthanasia. A BBC report has revealed that physicians in the UK are increasingly seeing and using "continuous deep sedation" as a form of "slow" euthanasia. Adam Brimelow, BBC News health correspondent, writes that the use of continuous deep sedation, also known as "terminal sedation" is becoming more common in the UK and may be the way physicians are skirting the law prohibiting direct euthanasia. Research has shown that 16.5 percent of all deaths in the UK are associated with continuous deep sedation until death, a number twice that of Belgium and the Netherlands, both countries that already have legalised direct euthanasia. Deep sedation can be used intermittently or continuously until death, and the depth of sedation can vary from a lowered state of consciousness to unconsciousness. Under UK law, patients can give a directive to medical staff that they refuse 'palliative care' or 'terminal sedation', or 'any drug likely to suppress respiration'. Alex Schadenberg, the head of Canada's Euthanasia Prevention Coalition, said that continuous deep sedation is a technique that can be used ethically in cases of dying patients to alleviate intractable pain, such as neuropathic pain that does not respond to morphine, but the ethics depends upon the situation and the intention. "It's important to make the distinction," Schadenberg told LifeSiteNews.com, "between what we do with someone who is nearing death and someone who is in pain but not dying." In some cases, he said, patients who are not dying but may be suffering are put into deep sedation, and then dehydrated to death - a use that is always unethical. However, "if your patient is nearing death and is experiencing organ failure, you really can't be putting food and fluid into a body that can't use the fluids. When the body is shutting down, this is a natural part of the dying process. But when they're not dying, like Terri Schiavo, or someone who is experiencing great pain associated with cancer, that is a different issue, because then we are talking about causing that person's death. "[Deep sedation] can be a backdoor route to euthanasia if it is used unethically," he said. "The issue is intention. The intention must be the alleviation of pain and suffering. Even a long-term sedation can be ethical as long as the person is not being dehydrated to death. A good palliative care physician won't use the technique very often." Last year, Dutch researchers found that the use of continuous deep sedation until death was becoming more widespread in the Netherlands where direct euthanasia is already legal. In 2001, researchers found that in six European countries deep sedation was used in 8.5 percent of all deaths in patients with cancer and other diseases. "The increased use of continuous deep sedation for patients nearing death in the Netherlands suggests that this practice is increasingly considered as part of regular medical practice," said lead researcher Judith Rietjens, a postdoctoral researcher in the Department of Public Health at Erasmus University Medical Center in Rotterdam. "Also, the use of continuous deep sedation may in some situations be a relevant alternative to the use of euthanasia for patients," Rietjens said. Deep sedation is associated now with approximately 10 percent of all deaths in the Netherlands, an increase that coincided with an increase in public disquiet about the numbers of active euthanasia cases - numbers that have since declined. Schadenberg said that the answer to the puzzle is simple: "The statistics of active euthanasia have gone down in the Netherlands because they are simply resorting to deep sedation instead. "But in fact this simply means that patients are being euthanised slowly in conjunction with the withdrawal of fluids. It is why this is being called 'slow euthanasia'. A lethal injection is quicker, but in fact the ethics are no different. Both intend death." Judith Rietjens confirmed this, saying, "We can see in our study that those sub-groups where we saw an increase of continuous deep sedation - just in those sub-groups - we saw a lowering of the frequency of euthanasia." A recent Angus Reid poll in Quebec of 800 adults (August 4, 5) found that 77% of the respondents agree with Euthanasia, 75% of the respondents supported the Collége des médecins du Québec opening the euthanasia debate with 72% of the respondents believing that Canadians should have the right to refuse medical treatment that could save their lives. The Euthanasia Prevention Coalition (EPC) questions whether the respondents actually knew what euthanasia is? Many Canadians confuse euthanasia with the right to refuse medical treatment. Legalizing euthanasia would give (usually a physician) the right to directly and intentionally cause the death of another person. Assisted suicide means giving (usually a physician) the right to be directly and intentionally involved with causing the death of another person. Euthanasia and assisted suicide are often viewed as issues related to personal autonomy but they in fact represent a loss of autonomy since euthanasia and assisted suicide require another person to be directly and intentionally involved with causing a persons death. The validity of such a poll comes into question when one considers the context of the poll. Since Canadians already have the right to refuse medical treatment that could save their lives. It is interesting that there is less support for a measure that they have the right to already. It may be that most Canadians are unaware that they have the right to refuse medical treatment. Would the level of support for euthanasia change if the respondents knew that the right to refuse medical treatment already existed? It is very concerning that this poll indicated that 58% of the respondents supported euthanasia for people who were not terminally ill but living with an incurable illness. The poll also indicated that 40% of the respondents supported euthanasia for newborns with disabilities. In the Netherlands the Groningen Protocol was developed to euthanize newborns with disabilities. People with disabilities need to be concerned about negative attitudes that exist toward people who live with disabilities and incurable conditions. In March 2005 EPC participated in an Angus Reid survey of 1122 participants from across Canada. Our polling found that the responses of Canadians changed based on the context of the question. Our poll included a series of ten questions. The first question we asked resulted in a similar support for assisted suicide as the recent poll. We then asked eight further questions with the tenth question being a near restatement of the first question. The response to the tenth question was: 45% of Canadians supported the legalization of assisted suicide, 39% of Canadians opposed the legalization of assisted suicide while 16% were undecided. In other words, when people have a chance to think about assisted suicide with respect to its related issues within societal context then the support for assisted suicide drops. The response to the some of the other questions were very interesting. • 77% believed that vulnerable Canadians might be euthanised without consent, even with safeguards in place. • 75% believed that recent assisted suicide cases are not reason enough to change the current law. • 69% believed that the law should discourage suicide by restricting the promotion of devices and methods. • 67% believed that legalizing assisted suicide would increase the suicide rate. • 54% believed that guaranteeing pain control and good hospice care was a higher priority than legalizing euthanasia or assisted suicide. • 69% are more concerned about protecting vulnerable Canadians than legalizing assisted suicide while 16% were undecided. It is important to note that our poll showed that the majority of Canadians were more concerned about protecting vulnerable Canadians and guaranteeing pain control and good hospice care rather than legalizing assisted suicide. Therefore the real support for euthanasia or assisted suicide can only be determined once it has been placed within a social context. EPC is currently working to defeat Bill C-384, the private members bill that would legalize euthanasia and assisted suicide for Canadians who live with chronic physical or mental pain.